Do you care a great deal about the quality and testing practices that go into the beauty products you use? Personally, I care a great deal about the ingredients in my beauty products, as well as that they are not tested on animals. When I can find them, I have especially loved products made with Dead Sea salts. From my own experience, I found that beautiful products with the minerals harvested from the Dead Sea do amazing things for my skin, leaving it super soft. Recently, I learned of a new company that makes an entire collection of products made from these amazing salts – Bloom Mineral Beauty. After getting some of their products for myself, I couldn’t wait to share them with all of you! Bloom Mineral Beauty: Who Are They? Looking for amazing, cruelty-free beauty products? If so, we think you will love Bloom Mineral Beauty. For those who had never heard of the company, Bloom Mineral Beauty was originally created by Jordanian scientist Elham Zeadat and now operating in America, with an all-female staff who are happy to share their expertise with women just like you and me. Their new line of skincare care product uses Dead Sea minerals to smooth, soften, and protect the skin naturally. Using the minerals found in Dead Sea Salt, their products are able to help reduce wrinkles, inflammation, and roughness without using harmful parabens, petroleum, or GMO’s (all commonly found in other beauty products). Are you looking for a deep cleansing product to leave your skin feeling amazing and refreshed? 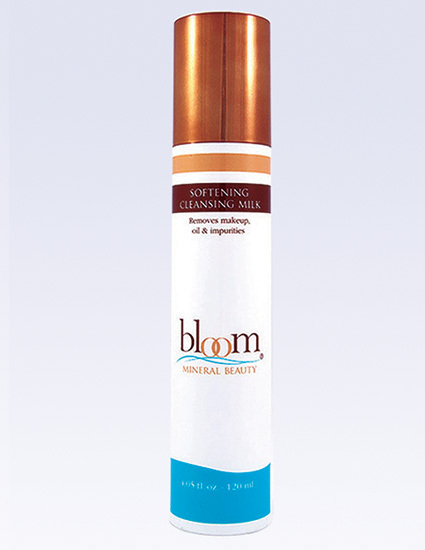 If so, we think you will love Bloom Minerals Beauty’s Softening Cleansing Milk. Using a rare blend of pH balanced soy, glycerin, and Dead Sea salt, this product gently removes makeup, oil, and impurity, leaving your skin clean, supple, nourished, and hydrated. Great for starting any daily routine, and will leave your skin feeling amazing while taking care of it for the future by delivering anti-aging results through the healing properties of Dead Sea salts! Do you want to get rid of those last traces of your makeup and make your skin look amazing? 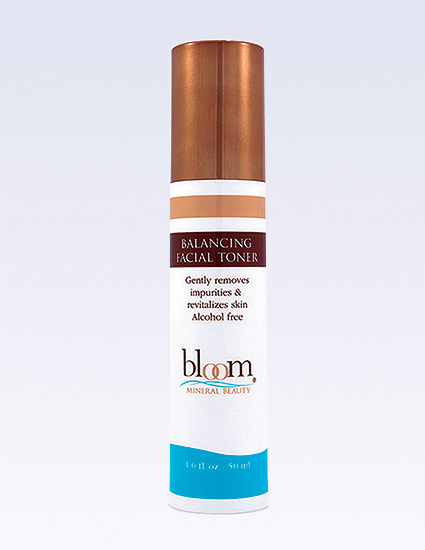 Give your skin some extra love with Bloom Mineral Beauty’s Balancing Facial Toner. This amazing product uses a pH balanced proprietary blend of Dead Sea mineral salt with soothing cucumber and chamomile extract, to gently sweep away the last traces of makeup and impurities. It is the perfect way to spoil your skin after a deep cleaning with Bloom Mineral Beauty’s Softening Cleansing Milk. Its ingredients will leave your skin feeling hydrated, and deliver anti-aging results! Does your skin need extra moisture? Spoil your skin and enhance your skin care routine with Bloom Mineral Beauty’s Moisture Shield. This product features a unique blend of hyaluronic acids, nutritive Dead Sea minerals, and glycerin to provide smooth and soft skin. As well, this lightweight lotion provides optimal, all-day hydration and protection from free radicals in the environment. Great for keeping your skin protected all day long and protecting it long-term from early aging. Bloom Mineral Beauty: Where to Purchase? Want to see more amazing products or purchase one of the products featured in this article? You can find their full line of products on the Bloom Mineral Beauty website. 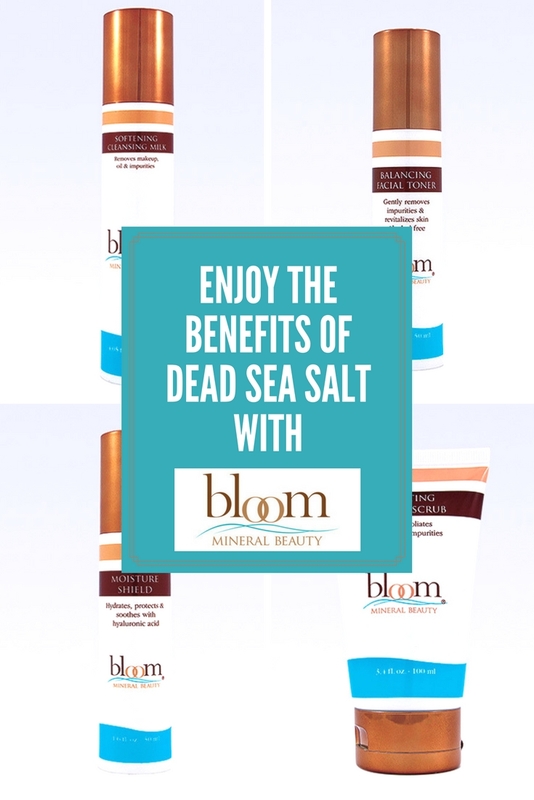 We are certain that once you try these amazing products, you will see why women everywhere love the way Bloom Mineral Beauty products deliver the benefits of Dead Sea salts! Got to like the natural minerals that help clean your skin! I have never heard of this brand. All of these products sound so nice! I think these would feel so good on your skin. I havent heard of this particular company but have heard of the benefis.